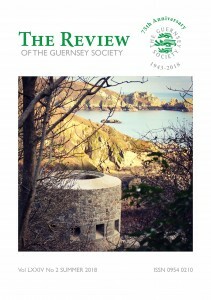 It contains a range of articles on the island including “The Colourful World of Guernsey Stamps” based on Keith Le Page’s talk to a recent London meeting; “Sea Scouting in Guernsey” – Bill Hill’s memories of scouting in the island and George Matheson’s article about his attempts to discover the age of a St Martin’s farmhouse using carbon dating techniques. We also include the poem that won the Guernsey Society trophy for local poetry in this year’s Eisteddfod – Pippa McCathie’s “Early Morning at the Fort with Ghosts”. Guernsey-related place names explored in this edition include Sarre Avenue, Hornchurch, Guernsey Drive in Fleet, Hampshire and Ruette Godfrey in Guernsey. Books reviewed include Howard Smith’s “Rupert: The Bear Facts” about the Daily Express comic strip bear, created by Guernseyman Herbert Tourtel; Rose-Marie Crossan’s “A Women’s History of Guernsey, 1850-1950″ ; and Duncan Barrett’s “Hitler’s British Islands”. All this and a round-up of the news from Guernsey, and usual Society notices. The Review is sent free to members three times a year. 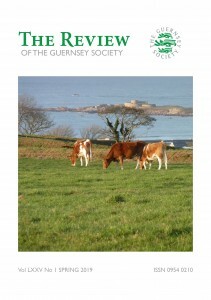 The latest edition of The Review contains the usual range of articles about Guernsey past and present – including an article from Roy Perry on the story of his eponymous guide maps, John Le Page’s account of St Mary’s Church at L’Islet, with which he has been closely involved for over fifty years, and Bob Tostevin’s research into the short life of his uncle, Osmond Tostevin, who died in a plane crash in Duxford 90 years ago. ‘Guernsey Around the World’ comes from the New York borough of Brooklyn, where a street was named after Guernseyman, Daniel Mauger, a leading public figure and benefactor in the borough for half a century. 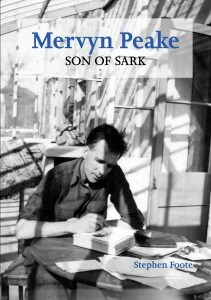 All in addition to the usual Book Reviews, Island News and details of our forthcoming meetings in London and Guernsey. The Summer Review is out now! 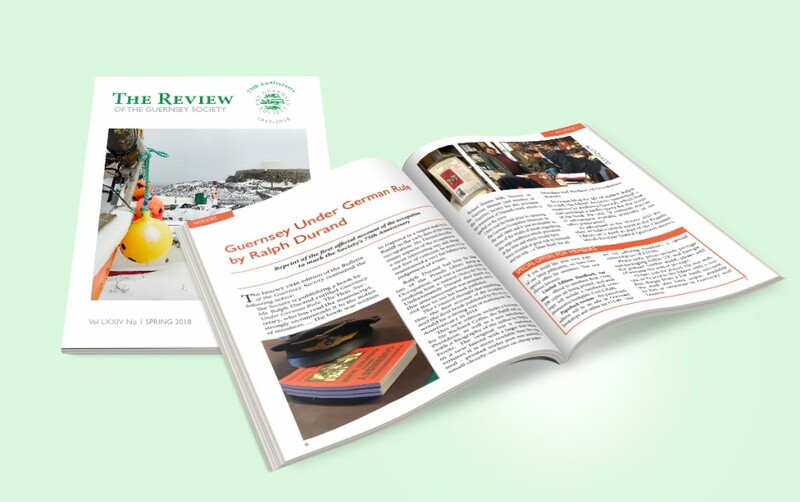 The latest edition of The Review contains the usual range of articles about Guernsey past and present – including a portrait of the artist William Caparne by Jane Mosse, the story of a tragic plane crash in Lincolnshire which killed a promising Guernsey pilot, Bernard Guille, by his nephew Brian Le Masurier and an article on the support provided to the Society by De La Rue in its early years. The ‘Guernsey Around the World’ feature comes from Wyoming, where David Le Conte recently witnessed the solar eclipse. There is also news of efforts to restore Saints Bay Loophole Tower, with a surprising connection to the family of Sir Donald Banks, founder of the Guernsey Society – and our Hollywood correspondent reports on the Potato Peel Fever that hit the island in April. 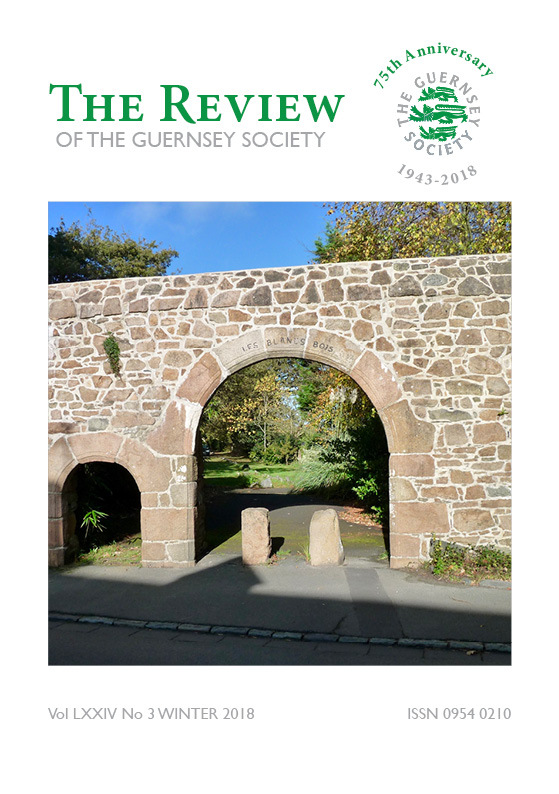 There is news of our recent success at the 2018 Boules Muratti against the Jersey Society – and instructions on how to receive your copy of The Review electronically. You are cordially invited to a book launch for “Guernsey Under German Rule” by Ralph Durand. As former librarian of the Priaulx Library, it seems particularly appropriate to hold it in the Priaulx Library during the Heritage Festival. 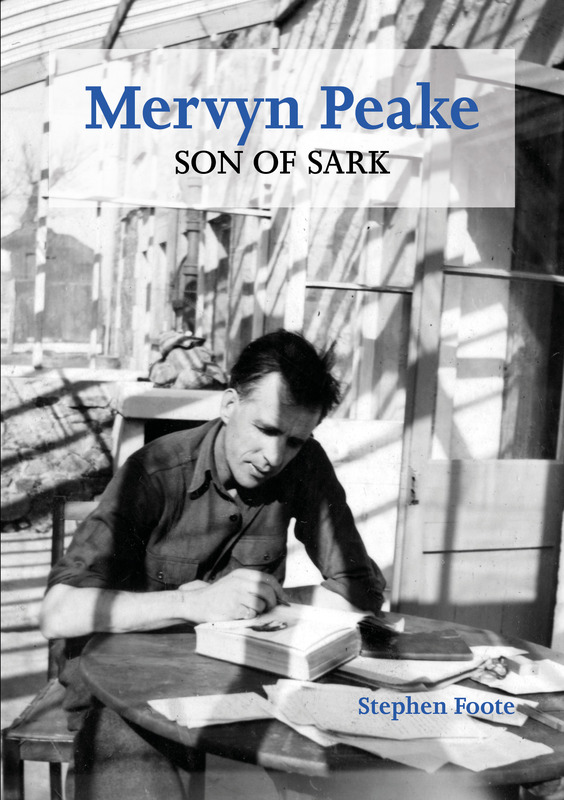 Come along and learn more about the man behind the first official book about the occupation. Thursday 5 April, 6pm at the Priaulx Library – all welcome! 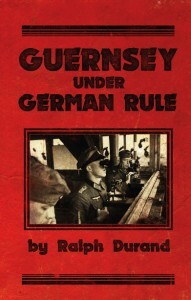 You can find out more about the book on our Guernsey Under German Rule page. 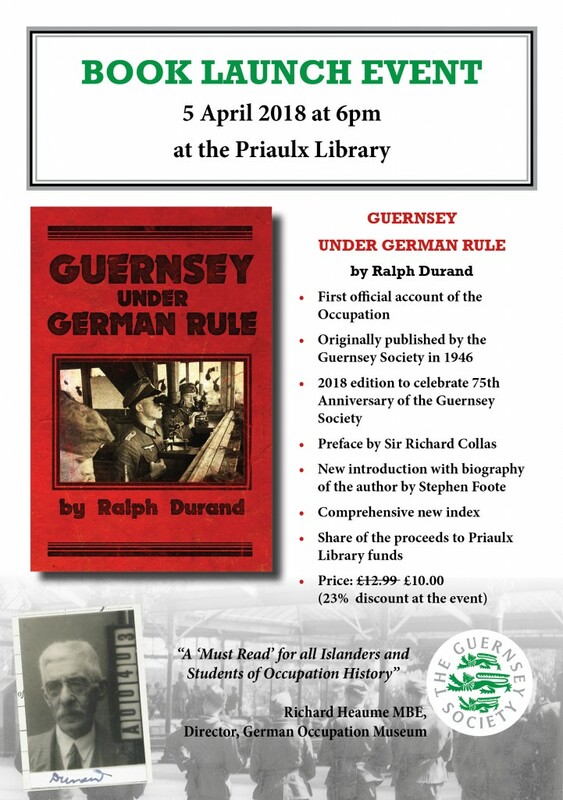 The Guernsey Society is pleased to announce that we are republishing “Guernsey Under German Rule” by Ralph Durand, to mark our 75th Anniversary in 2018. Guernsey Under German Rule, originally published in 1946, was the first account of the German Occupation of this Channel Island during World War 2, written at the request of the Bailiff, Sir Victor Carey. Its author, Ralph Durand, had lived in Guernsey throughout the occupation where he was the librarian of the Priaulx Library. He describes the main events of the five years of Nazi occupation based on first-hand experience, as well as privileged access to the minutes of the Controlling Committee. The result is an authoritative and compelling account of World War 2 in the Bailiwick of Guernsey, told by someone who had lived through it. 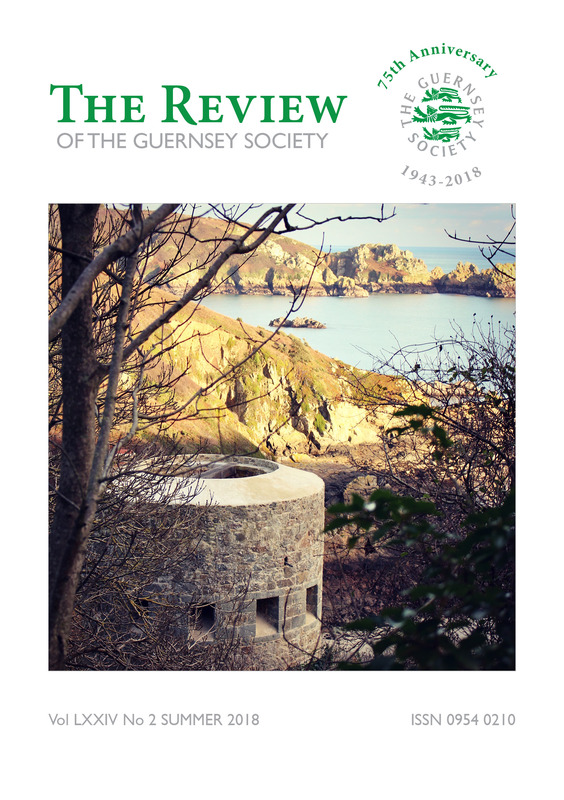 This second edition, with a Foreword by Sir Richard Collas, Bailiff of Guernsey, and a new biographical introduction by Stephen Foote, Vice Chairman of the Guernsey Society, is being published to mark the 75th anniversary of the Guernsey Society. The Priaulx Library will be hosting a launch event on Thursday 5 April at 6pm – all welcome. If you would like to order a copy – please visit our Guernsey Under German Rule page.